Do you like to solve easy crossword puzzles printable and fun? If so, I'm glad you're here. This puzzle is about advertising slogans, and there are a lot more crosswords, too! Just use the links at the bottom or on the left to find more. We all know a good sales pitch when we hear one, right? 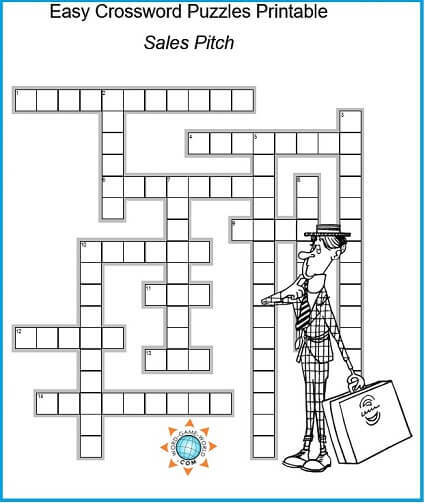 This printable crossword features 15 well-known advertising slogans, both old and new. Please note that many of the answers contain two words. The puzzle grid does not contain any blank spaces, hyphens or apostrophes. 1. Pop, pop, fizz, fizz, oh what a relief it is! 6. You're in good hands with __ __. 11. It's finger lickin' good. 12. Let's build something together. 5. Don't leave home without it. 7. Like a good neighbor, __ __ is there. 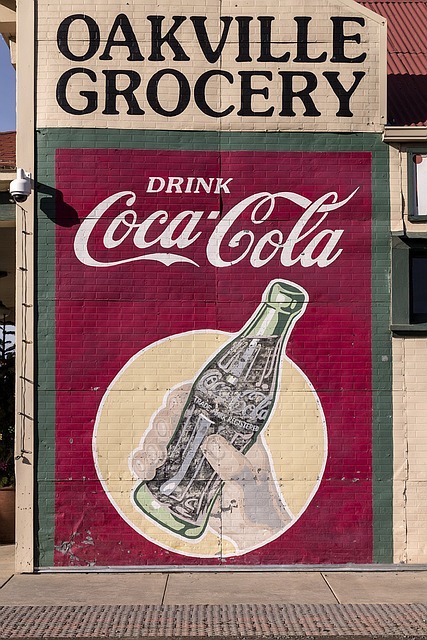 Which of these slogans have been used by Coca Cola? It's No Joke! Every answer in this fun, easy crossword begins with the letter J. You'll be able to solve it in a jiffy! Opposites - If you hate crosswords that are hard, you'll love this one because it's easy! To solve this one, you'll need to know lots of pairs of opposites. Will you solve this one quickly or slowly? Three Cheers! Supply the third word in a well-known phrase or list of objects. Hip, hip, ----? Famous Pairs - One of our most popular easy crossword puzzles: If you can finish clues like peanut butter and ?, you'll have a blast with this one! We hope you'll come back and try many more of our easy crossword puzzles printable and other fun word games. Don't miss our special collection for kids. Adults like these, too! ZigZag Word Puzzlers Just complete seven 7-letter words, using the letters that are already placed in the diagram. Sound simple? Maybe, maybe not...but it will be fun! Buzzwords - One of the best printable word games around! Use crossword clues to find scrambled words in a honeycomb. Sweet! When you're ready for more difficult crosswords, please try our medium and hard crossword puzzles. They are all free and printable! All but the fourth one were actual slogans.